In 2014, Taposhi Sarker found herself in a position of many uncertainties. 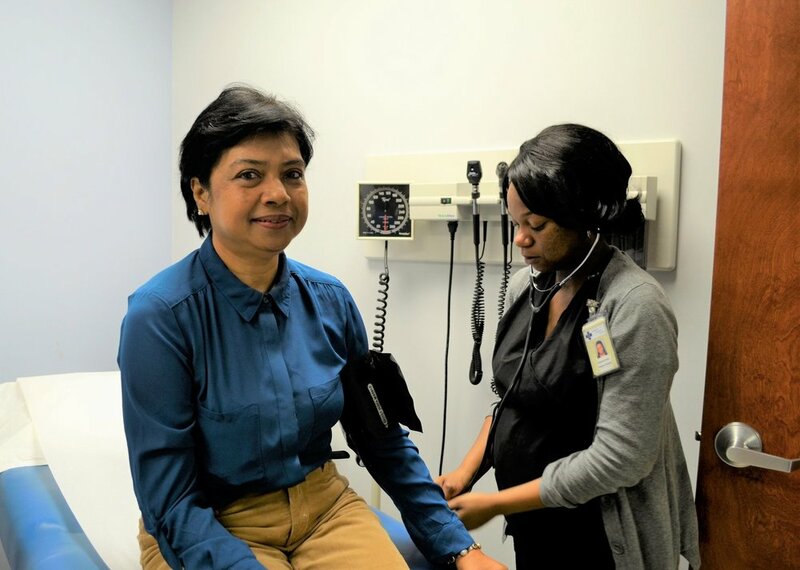 Providing and caring for her then 16 year-old daughter while working with no health insurance, Taposhi was overjoyed when she found care at Alliance. She began seeing Dr. Laura Helton as her primary care doctor. Dr. Helton suggested Taposhi may benefit from AMM's on-site counseling services, an integrated part of the medical care provided at the practice. Taposhi met Betsy Allen, a volunteer Licensed Clinical Social Worker at AMM. With Alliance's help, Taposhi has found multiple resources around Raleigh to help her get back on her feet. Betsy helped connect Taposhi to Green Chair Project where she found furniture to furbish her new town home. Taposhi was also able to receive a car through Wheels4Hope.